My lovely cousin and her family came to visit over the weekend – a truly special occasion as I haven’t seen her in almost ten years. They all live in Texas, and being on near opposite ends of North America means seeing each other has been difficult to arrange. It’s definitely hard not being able to see one another or grow up together, but if there is one wonderful thing about having family all over the place (mine being in Texas, California, Vermont, New York, Vienna, and Singapore), it’s that you have reason to travel and see other places. You can share these parts of the world you inhabit with your family to experience like they wouldn’t have a chance to otherwise, and vice versa. Since I haven’t had a chance to go be the one experiencing my cousin’s home yet, they were sweet enough to bring a literal taste of Texas to us. 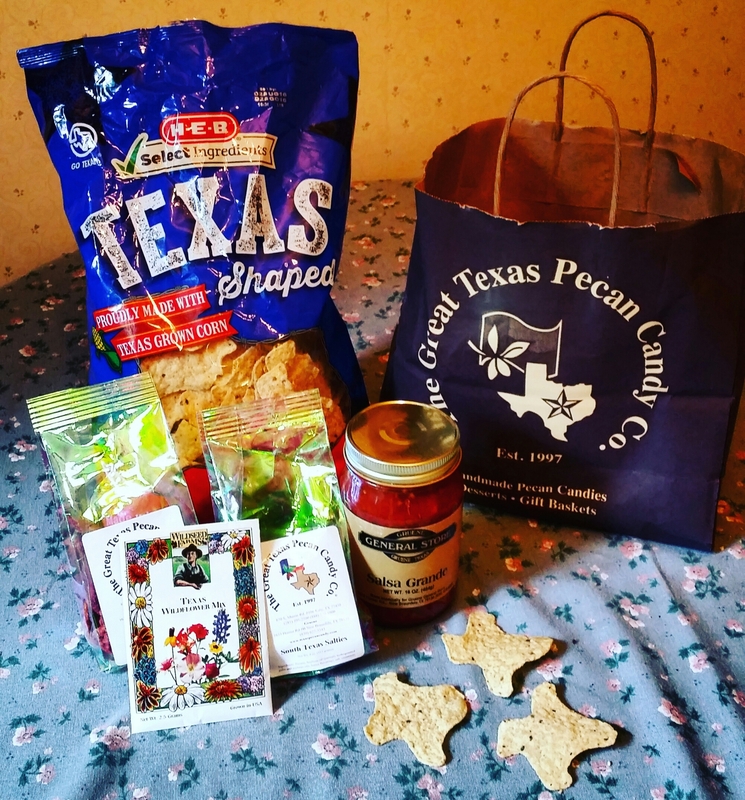 Corn chips in the shape of Texas with gourmet salsa, specialty pecans, and wildflower seeds native to their home in Hill Country. Food is certainly the way to our hearts in this family, so we were pretty ecstatic about the things they surprised us with. Not to mention the flowers to flourish in my mom’s lush and welcoming garden. 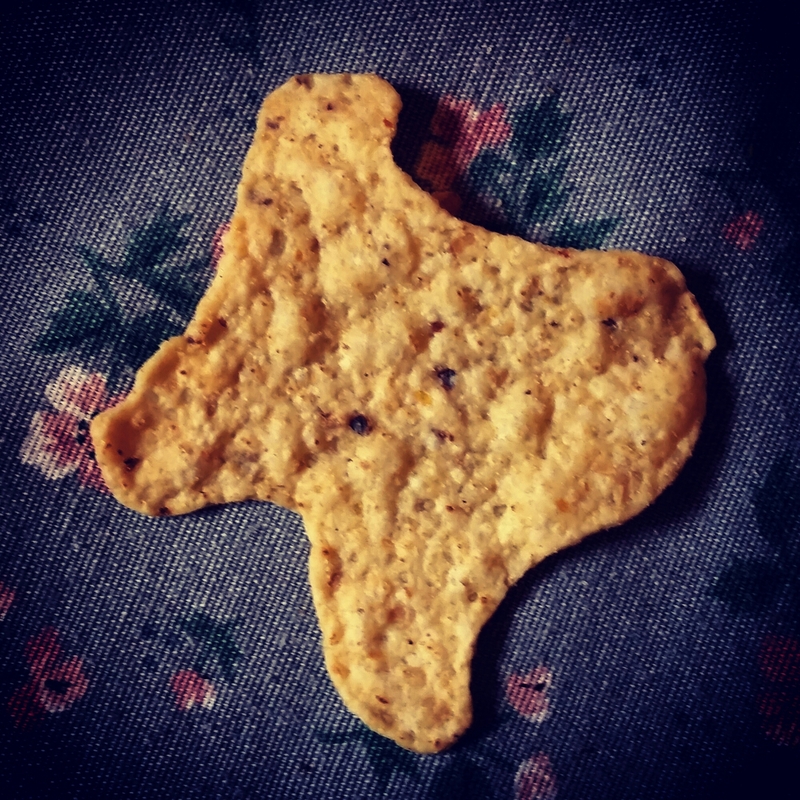 And how cool is that to get nachos in the shape of the Lone Star State?! A lot of the time it’s those little things that make places so fascinating and quirky – and having a native of said place show off what’s great about it is a perfect way to discover things you might miss otherwise. Anyway here’s to safe travels to my cousin and family! Hopefully I can come visit soon to check out those wildflowers in their natural landscape. What are some things y’all would want to give as gifts that best show off your homes? When I went to Korea, I brought maple candy, syrup, and local wildflower honey to my co-teachers and principal, hoping that would give a good taste of Canadian culture. Here Here to the surprisingly fun food and future flowers. It was really great to see you again and may this be the first of more Canadian visits to the first-commers.